This paper is an ethnographic research note, reporting an edit war on WIkipedia related to the article about "glass ceiling". By describing the events in details, it allows to understand the background for gender inequality, as well as editor power imbalance on Wikipedia better. 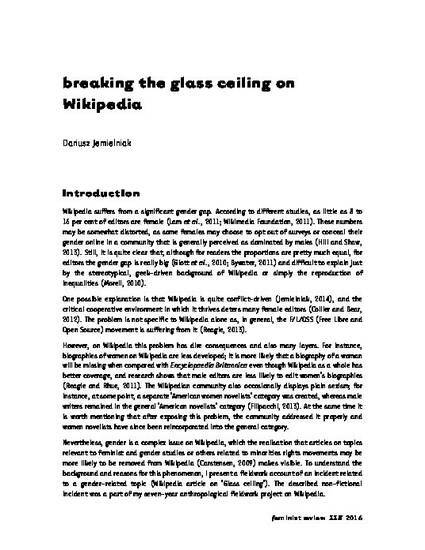 Jemielniak, Dariusz (2016) Breaking the Glass Ceiling on Wikipedia Feminist Review 113(1), pp. 103-108.